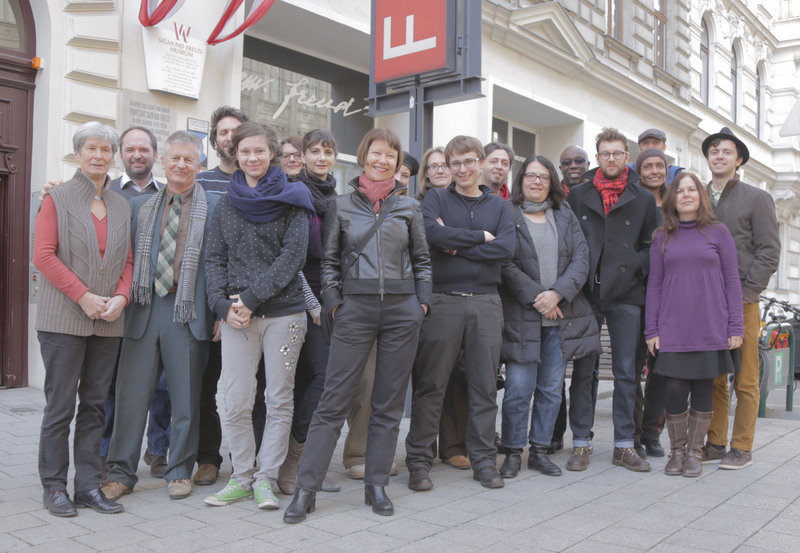 BABYLON continues its 7th edition with an intensive follow-up feature project workshop just completed in Vienna February 20th-23rd. Participating screenwriters, producers and directors met together for discussions about their new screenplay drafts, and to plan next steps in advance of the Cannes Market session in May. Vienna inspired and delighted us! We were lucky enough to be hosted by the Institute of Science and the Arts (IKW), part of the University of Vienna housed next door to the Sigmund Freud house. Our opening evening kicked off with a joint Babylon/Diverse Geschichten/Witcraft networking event which brought together this year’s participants with a crowd of Viennese filmmakers and featured panel contributions from successful Babylon alumni Umut Dag (Babylon 2008/9) director of award-winning Kuma, whose second feature Cracks in Concrete has just premiered at the Berlinale, artist filmmaker Tereza Kotyk (Babylon 2011) whose first feature has just been funded by Tirol Film Fund for production this year, Elena Tikhonova (Babylon 2011/12) whose project Kaviar is being developed by Witcraft with MEDIA funding, and documentarist Nathalie Borgers whose co-producers for her project Blanche Rose and Dara came on board during the Babylon Cannes session she attended in 2012. Other events during the workshop included a panel on how funders decide which scripts to fund, with Head of Vienna Film Fund Gerlinde Seitner, Head of co-productions at the Croation Audiovisual Centre Sanja Ravlic, and Evelyn Itkin, former Drama Commissioning Editor at Austrian broadcaster ORF. We were also joined by Umut Dag for a fascinating Q&A on Kuma. Babylon 2013-14 kicked off with the first screenplay development session October 16th-19th during the BFI London Film Festival, and sees selected filmmakers working together on their projects as part of a mentored programme that culminates in the third workshop at the Cannes Market (May 2014) and is focused on a combination of script development, production skills and market understanding. BABYLON’s partners this year are MFG-Baden-Württemberg (Germany), Filmfonds Wien (Austria), HAVC (Croatia) and BABYLON founder-directors Scenario Films Ltd, London, in association with Witcraft/Diverse Geschichten, Vienna.